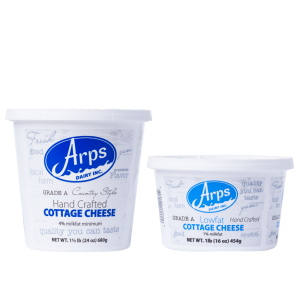 There is nothing like Arps Dairy’s Sour Cream when you need to add a cool and tart note to a dish – or take some of the heat out of a spicy recipe. It’s right and smooth texture is a star performer on baked potatoes, Mexican cuisine, spreadable dips, chili, nachos, salad dressings, even cheesecakes and frosting! Our Sour Cream is tangy, creamy and made with locally sourced dairy from animals that receive the best possible care and local, small family farms that radiate quality and sustainability. 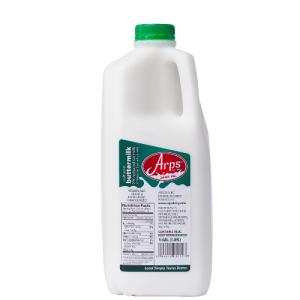 Arps Dairy’s Sour Cream comes with a 90 day shelf life and is available in a 16oz and 5lb tub for both home and restaurant use. Did you know: With 22.5g fat and only 5.3g carbohydrate per half-cup serving, sour cream is a healthy and perfectly viable food for low carb and ketogenic diets. Did you know: Sour cream provides a large amount of dietary calcium. 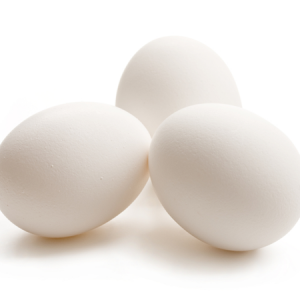 As calcium deficiency is quite common, dairy foods are an important source of the mineral. 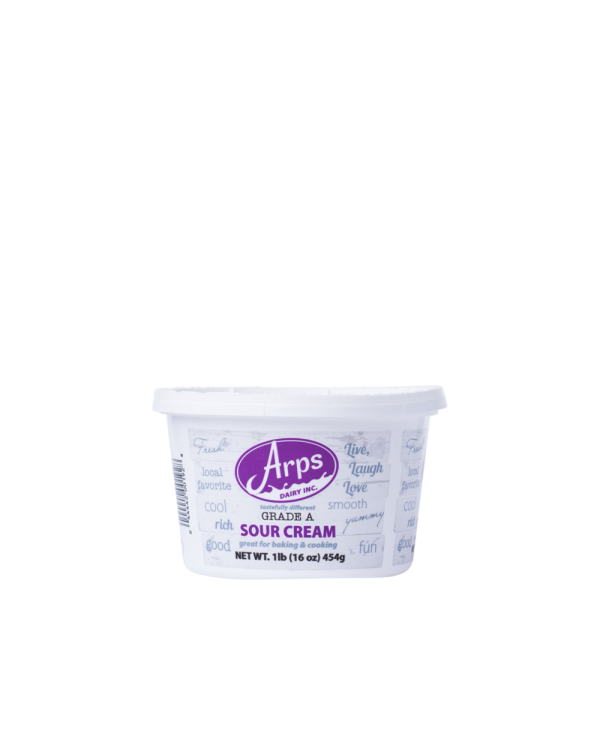 Private label opportunities for Arps Dairy’s Sour Cream are available. Order quantities are individual units. To order by the case, there are eighteen (18) 16oz Sour Cream containers per dairy case and four (4) 5lb Sour Cream containers per dairy case.